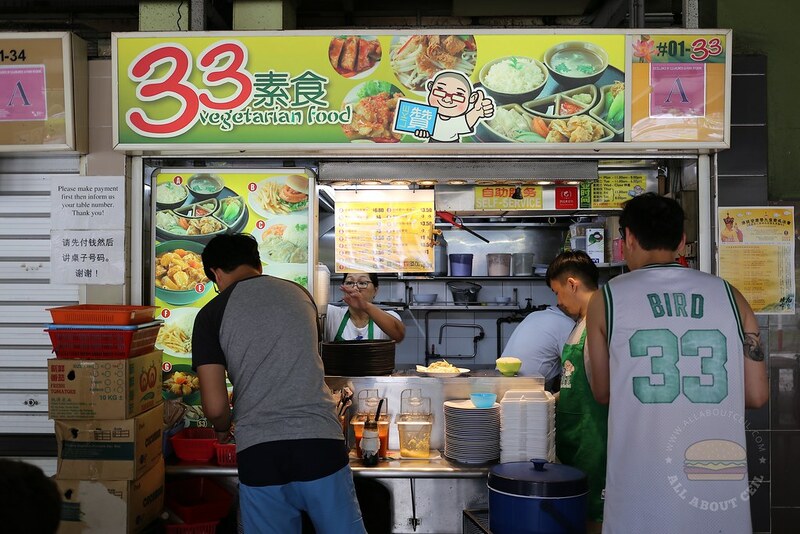 Mr Sow, the owner, used to be selling chicken rice at this stall for 15 years together with his wife before he decided to convert it to a vegetarian stall in 2014 after he and his wife became vegetarian. This is not the usual vegetarian stall as they do not serve fried bee hoon nor economy mixed vegetable rice. 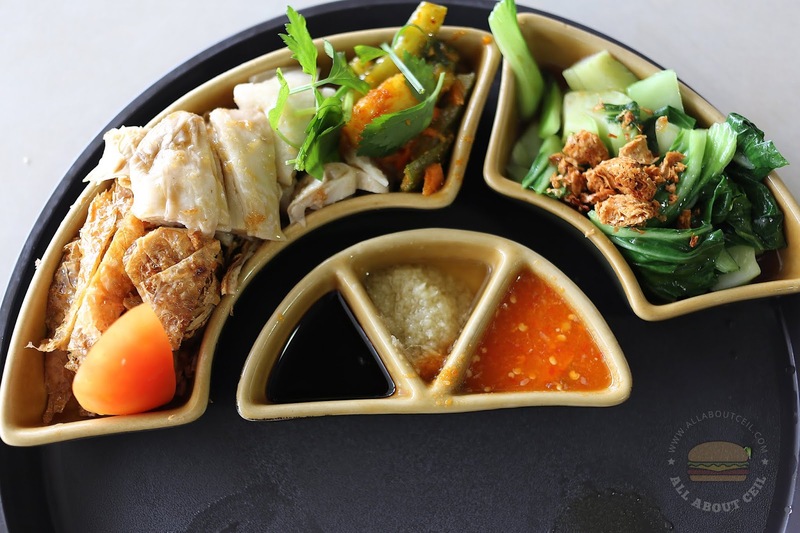 Their menu consists of all sorts of mock chicken dishes, like Chicken Burger, Chicken Cutlet, Chicken Nuggets with fries, Curry Chicken Noodle, Thai Chicken, Lemon Chicken, Sweet & Sour Chicken and also Chicken Rice. 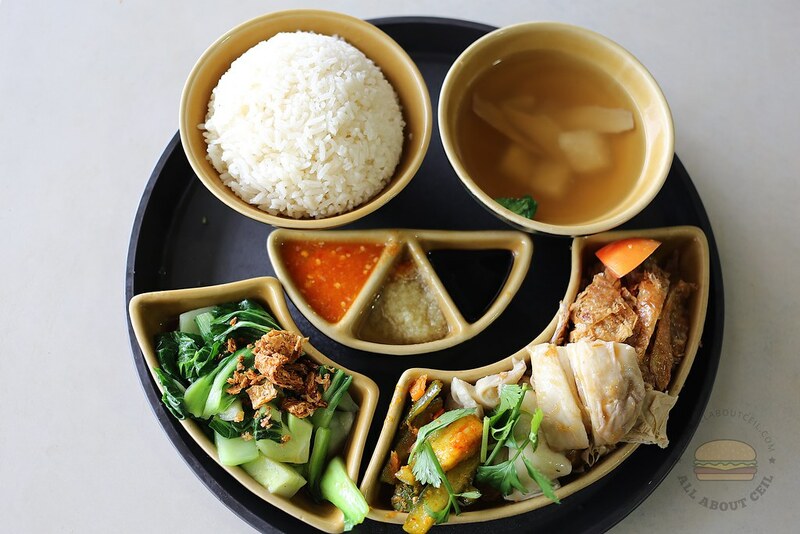 Their most popular item on the menu is the Healthy Chicken Rice Set ($6.80). 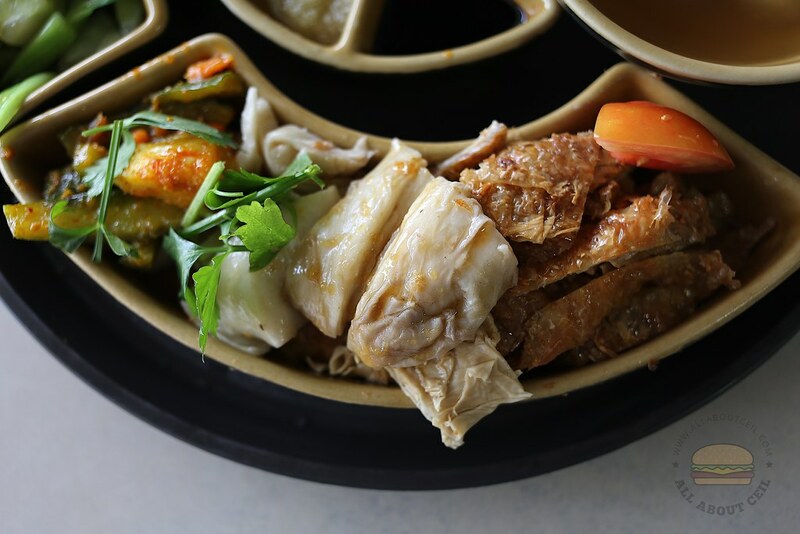 It consists of the mock version steamed chicken and roasted chicken made using tofu skin accompanied by a portion of achar and blanched vegetable with vegetarian oyster sauce together with a bowl of soup. I decided to go with the set. My dining companion was amazed by how realistically resembles the steamed chicken, it has a layer of jelly-like skin, just like the real stuff. He said, "I would have thought this is the real chicken just by looking at it but it did not quite taste like it." The roasted chicken actually reminded me of those fried beancurd sheets that are usually served with vegetarian fried bee hoon. The chilli and ginger paste actually tasted like those at the usual chicken rice stalls, which is good and it definitely enhanced the overall flavor. 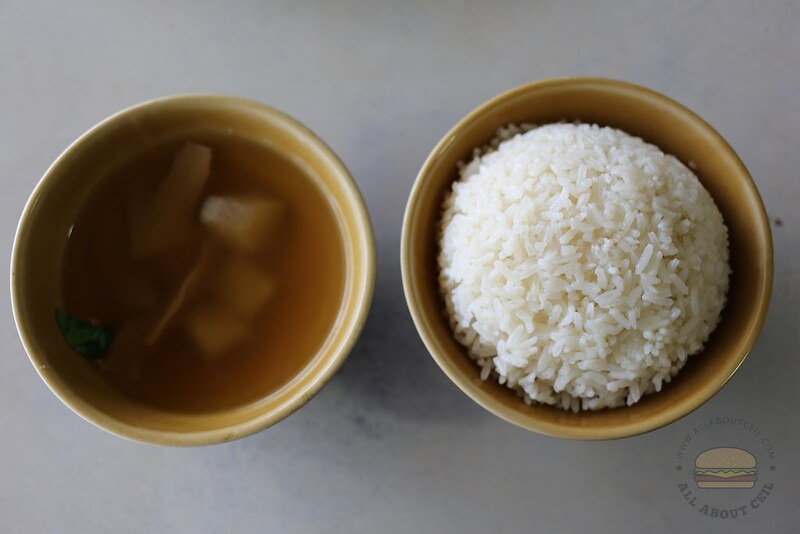 The texture of the rice rather light and fluffy but not as fragrant. That bowl of winter melon soup was quite flavorful though. Nonetheless, it is definitely a good alternative for vegetarians that miss eating the chicken rice. I am impressed with such a specially-curated vegetarian menu. Oyster sauce? Oyster is not vegetarian food. Thanks. I left out "vegetarain".